Monson town records indicate the marriage of Edward Dickinson and Emily Norcross took place on 05 MAY 1828, while the Amherst town records indicate they were married on 06 MAY 1828 in Monson. Since the wedding took place in Monson, I believe the Monson date to be the correct one. 1 Find A Grave, (accessed 10/24/2014). 2 MASSOG: A Genealogical Magazine for the Commonwealth of Massachusetts, Massachusetts Society of Genealogists, Inc., 2012, Vol. 36, No. 1, p. 26, Inter-Library Loan (ILL). 3 NEHGS NEXUS: New England Across the United States, 1997, Vol. 14, p. 147, New England Historic Genealogical Society (Online Database). 4 Roberts, Gary Boyd, Notable Kin, Volume 1 , Santa Clarita, California: Carl Boyer, 3rd (1998), 202. 5 Roberts, Gary Boyd and William Addams Reitwiesner, American Ancestors and Cousins of The Princess of Wales, Baltimore: Genealogical Publishing Co., Inc. (1984), 40, Ancestry.com (Online Database). 6 Wikipedia, "Edward Dickinson", (accessed 10/24/2014). 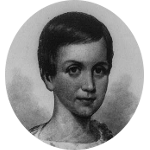 7 Wikipedia, "Emily Dickinson", (accessed 10/24/2014).